Picture this: It’s the day before a big interview. You’ve done all of your research, you’ve reviewed your talking points and you’re overall very confident. Just one question. What are you going to wear? Before you answer that question, you need to identify the company’s personality. Is it more laid-back? Conservative? The answer to that question is a great indicator of how you should present yourself. If the company is more conservative, it’s best to stick to what you know works best. A solid black or grey suit is always a safe bet. An outfit should never distract an interviewer from learning more about your qualifications as a potential employee, so be mindful. 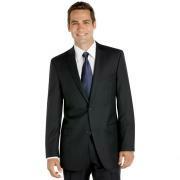 In addition to the solid color suit, make sure to look as put together as possible. For example, hide any tattoos, remove any visible piercings, clean up your facial hair and keep your hair nice and neat. I know that sounds like commonsense, but you would be surprised by how many people forget about those things. Now, if the company has a much more relaxed culture and you feel safe wearing something a little more representative of your personality, then why not stray away from the classic black suit and white shirt. 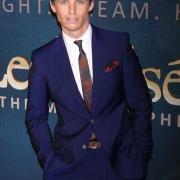 Royal blue, maroon and cream colored suits are becoming more and more popular. Although they aren’t necessarily the first colors that come to mind when you think about a suit, you can always balance the trendy color with a neutral button down shirt, or neutral tie/bow tie. Unless you’re interviewing for some type of fashion-related position, I recommend maintaining a nice balance between professionalism and self-representation. Some of these stores are more expensive than the others, but never underestimate the quality of clearance items. Personally, I own a great pair of Topshop dress pants that were marked down to $25 from an original price of $80. Also, don’t forget to use your student ID if you’re still a student! You can save anywhere from 10% – 30% at some of the above mentioned stores.